Dearborn Community Fund • IX Publishing, Inc. 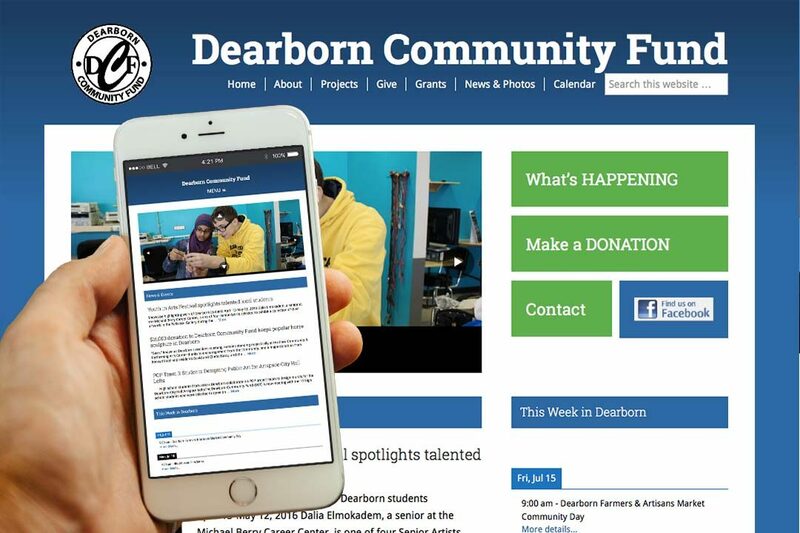 The Dearborn Community Fund exists to contribute to the “vibrancy of the city of Dearborn, Michigan.” They offer monetary and volunteer support to a wide array of projects, opportunities, and cultural activities, from the Dearborn Homecoming Festival to the Midwest Sculpture Initiative. Their goal is to promote the quality of life for residents of Dearborn through the arts, including events at the Ford Community & Performing Arts Center. The Fund was founded in 2000 as a 501(c)(3) and is managed by a board of volunteer community member directors.